Following news that the American Endurance Ride Conference and US Equestrian Federation have parted ways, U.S. endurance riders have been left in limbo. American endurance riders planning to compete internationally this year may have some gaps in their schedules. Following the overnight severance of their national body from the US Equestrian Federation, competitors have been left wondering if there will be any FEI rides on home soil this season. 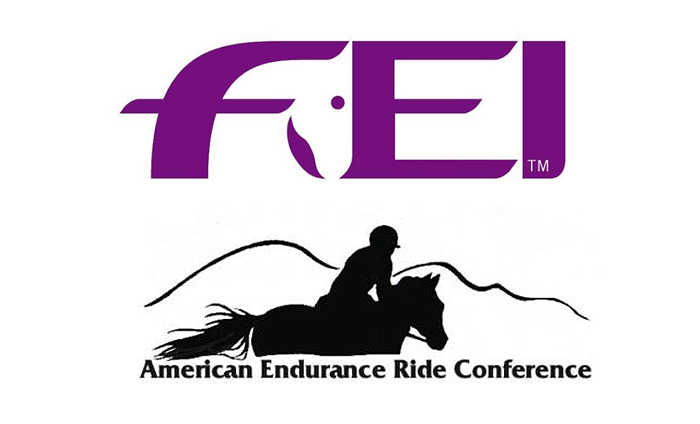 At this time, both parties – the American Endurance Ride Conference (AERC) and USEF – are discussing emergency plans for scheduled rides, while USEF makes longer-term arrangements with ride organizers and finds a replacement for national body for endurance. It is a potential minefield, as FEI General Regulations require all national federations to ensure FEI rules are upheld at FEI rides. This, obviously, is not enforceable with non-affiliated organizations. During a 48-hour hiatus last week, AERC advised USEF it would be disaffiliating in December 2019. But USEF wrong-footed AERC, announcing that it was going to terminate their association anyway, and suspended AERC immediately. In the U.S., it is normal to run FEI rides in conjunction with AERC national rides, rather than stand-alone international fixtures. Seven FEI dates were scheduled for 2019. USEF is setting up a task force and has invited AERC members to apply to sit on the USEF sport committee, subject to completing Safe Sport Training and refraining “from participating in gossip, blaming, or other negative types of communication,” among other conditions. A USEF spokesman told Horse Canada it has no plans to fund American athletes to compete overseas – except at official FEI team championships – in the event of a reduced or non-existent FEI ride calendar in the U.S. Regarding contingency plans, AERC’s recently appointed new president Monica Chapman said: “AERC is happy to continue to co-sanction rides with FEI/USEF. The reason we put the 12/1/19 end date was to ensure the rides already scheduled for the 2019 ride season would not be cancelled. “USEF has reached out to AERC about developing an operating agreement for the rest of this year. It is in the infancy stages so there is nothing to report on what that agreement will include. “There are no other national endurance organizations in the United States. There are many small endurance organizations which are more like regional clubs that funnel into AERC. The Arabian Horse Association sanctions endurance rides, but they all co-sanction with AERC. AERC was founded in 1972 and pioneered the “classic” sport over natural trails with the maxim “to finish is to win,” but the global dominance of U.S. riders dwindled with the desert racing evolution in the Middle East. AERC and USEF have had grievances for several years. Many AERC members have expressed reluctance on social media to provide for a handful of international members – just 55 of nearly 5,000 AERC riders started in FEI rides last year. USEF wants AERC to apply measures which AERC says are incompatible with its bylaws and not allowable under the Ted Stevens Act. This is a piece of legislation sponsored in 1998 by Alaska senator Ted Stevens, granting monopoly status to the US Olympic Committee and specifying requirements for national governing bodies. Primarily, though, AERC is frustrated by USEF’s refusal in recent years to join AERC in denouncing the many endurance scandals in the Middle East. USEF had meanwhile imposed a final January 12th deadline to pay an overdue affiliation fee and for AERC apply USEF’s required conditions. The AERC board was expected to decide its long-mooted disaffiliation motion on December 10th. But a heated teleconference resulted in a no-confidence vote in president Paul Latiolais, who wanted to wait for legal advice. He was replaced by Chapman, and the disaffiliation vote was deferred to last week. USEF replied that it wanted to wait for the FEI Equine Community Integrity Unit report into the cancelled world championship ride at Tryon. In a further letter dated January 15th, USEF said it now wished to wait further for the recommendations of the new FEI endurance committee, which only met in-person for the first time last month. In a public statement last week, USEF elaborated: “While USEF shares AERC’s concerns regarding horse welfare, the Federation considers this delayed disaffiliation to be contrary to the best interest of the future of endurance sport on a national and international level. “During AERC’s proposed period between now and December 1, 2019, USEF cannot be certain that AERC will comply with USEF’s affiliate requirements, including compliance with bylaws, rules, decisions of the Hearing Committee, and not impeding athletes’ ability to participate in international competitions, as protected under the Ted Stevens Act. “USEF will continue its commitment to national and international endurance sport and will appoint a special task force to oversee the development of the necessary mechanisms to fulfil the needs of endurance. “Additionally, USEF is encouraged by the creation of the FEI Temporary Endurance Committee and looks forward to their report and recommendations for the future of endurance.